Cement Finishing Labour Relations Association – We Finish what we Start ! Welcome to the home of Cement Finishing and Professional Red-Seal Concrete Finishers! The Cement Finishing Labour Relations Association (CFLRA) is an Ontario Minister of Labour designated association representing trade contractor employers of Cement Finishers & Cement Masons bound to the LiUNA and OPCMIA ICI Ontario collective agreements. Our employers have long respected the need to provide fair wages, benefits and a pension to our safe, skilled & productive and knowledgeable concrete finishers. 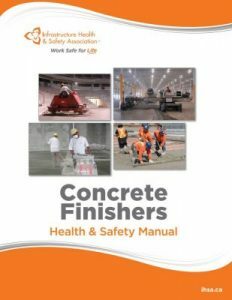 In addition to promoting standardized wages and family benefits, the CFLRA also promotes workplace safety, apprenticeship training and advanced journeyman knowledge for our cement/concrete finishing trade work as well. CFLRA employers cover a wide range of businesses that are both small and large, new and old. If you are a non-union concrete floor, epoxy floor, concrete polishing or concrete restoration trade contractor in the Ontario ICI sector, then please call or e-mail so we can help you grow your business. We welcome your questions, suggestions or concerns at all times.